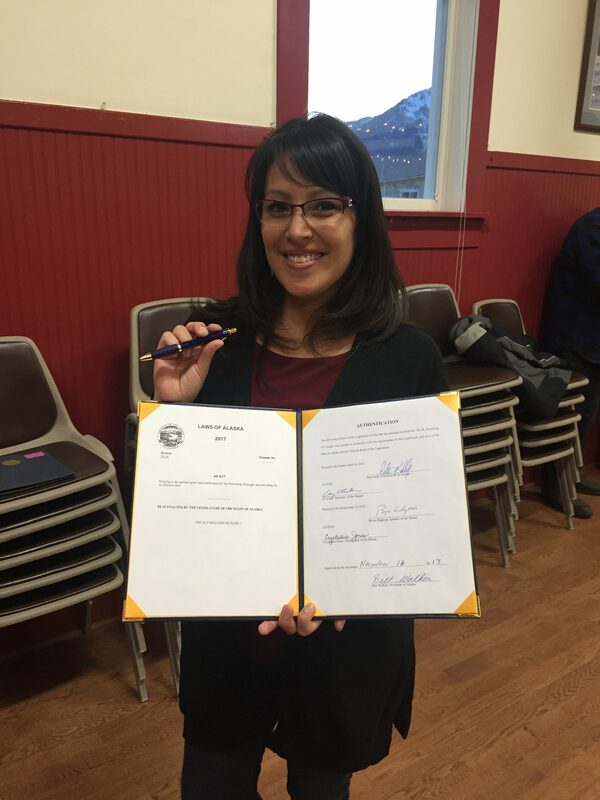 Legislative Aide Melissa Kookesh with the signed bill! PETERSBURG – Gov. Bill Walker today signed Senate Bill 28 into law. SB 28 was sponsored by Sen. Bert Stedman (R-Sitka) to increase the Petersburg Borough’s land entitlement to 14,666 acres. When the Petersburg Borough was created by the voters in 2013 they had only received 1,896 acres. 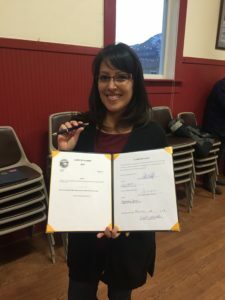 With passage of the SB 28, the Petersburg Borough is now on equal-footing with other organized boroughs across the State of Alaska. The Petersburg Borough will select the acreage from seven different areas within the borough boundaries. All selections will be made from vacant, unappropriated, and unreserved state lands. No selections will interfere with existing state, University, or Alaska Mental Health Trust lands, including the Southeast State Forest, or private ownership. 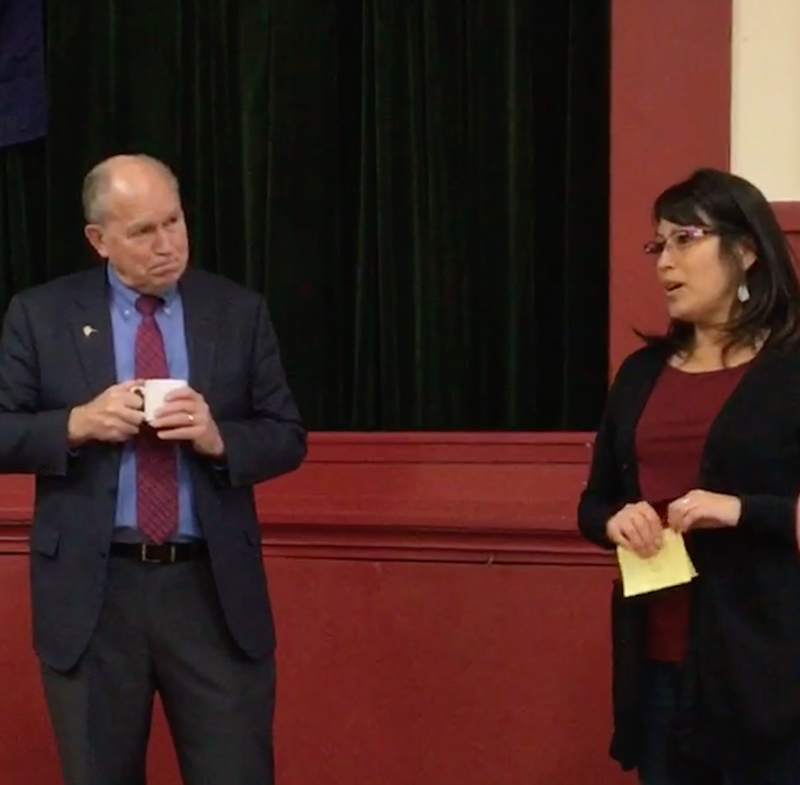 Governor Walker and my Legislative Aide Melissa Kookesh giving welcoming remarks prior to the signing of SB 28 in Petersburg. SB 28 passed both legislative bodies unanimously.